Article by famed Bulgarian composer Viktor Chuchkov Sr. for the International Survey "Bulgaria-Italy" of Novinite.com (Sofia News Agency). Italian film music has left a very bright legacy in the history of cinema as a whole. It has been setting the tone with its original ideas, unique dialogue with the main characters, and the script, without disturbing the balance of the film layers, always being able to reinforce the reception of the film. Music themes often remaining alive in time outside the screen sometimes turn into popular songs or retain their original version. However, magic is no result of rules but is most often created by talented composers who have penetrated deeply into the idea of the film, and make its viewers feel as if the sensation invested in them springs right out of the main characters' hearts. Ennio Morricone is not just one of the most favorite and respected composers in the world; he is also the brilliant profession who proves each second how important it is to live with the picture breathing with the rhythm of the act. Ennio Morricone's soundtrack of the Italian TV series "La Piovra" was recored in Sofia with the Bulgarian Symphony Orchestra for Film Music. For me, the La Piovra 6 series is connected with an unforgettable moment when I had to play at the recording of an extremely tense rhythmic motif for several minutes with incessant energy, and directed by the gesture of its author Morricone. I remember how happy the author was, after the tension of the recording, to find out that the invested creative ideas had been successfully realized. Together with the Bulgarian Symphony Orchestra for Film Music in the 1990s we record some of Morricone's other works as well such as "An Italian Story", "Long Silence", "Nostromo" (with the participation of Bulgarian kaval virtuoso Teodosii Spassov). I will never forget how composer Carlo Siliotto used the participation of a Bulgarian folklore singer for a film of his as well as some recordings for some of his other movies such as "The Murder of Julius Caesar", "Nomad", etc. A strong emotional effect radiated from the screen with the TV series "Pride" featuring the music of Stefano Mainetti and the solo of a Bulgarian violin player. The prizes awarded to composer Andrea Guerra's film music as well as the creative cooperation with Luis Bakalov, an Oscar winner, the music for the two-episode TV series "The Colors of Life"of Stefano Reali have brought to us satisfaction and joy. Singer and composer Pino Donaggio, author of songs and music for many films, who is well known from the San Remo festivals, cooperated with the Bulgarian Symphony Orchestra for the music of popular Italian TV series "Don Matteo", "The Great Turin", among others. I was happy when director Maurizio Zaccaro invited me to write the music for his film "Mountain Crystal", all the more so because one of the leads in the movie was given to Virna Lisi. 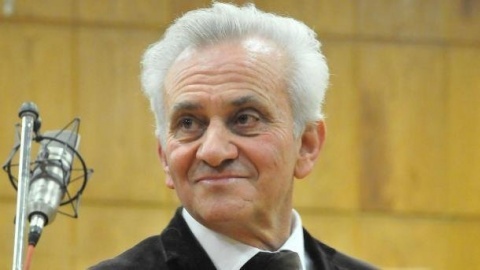 The meetings of Italian composers Damiano Damiani and Francesco Rossi, and composer Manuel de Sica with the audience at the Union of Bulgarian Composers have left a strong imprint. An unforgettable memory for me is the performing of my songs for children at the Golden Coin festival by the Antoniano choir under the direction of Mariele Ventre as well as my cooperation with the TV shows "Premio Mozart" and "Bravo, Bravissimo! ", which featured the youngest music talents from around the world (including many Bulgarian children – bright talents in the classical music, ballet, and folklore). I managed to help with the realization of two tours of the Antoniano choir in Bulgaria (its concert at the National Palace of Culture in Sofia was attended by over 3 000 people), and for the visit of pianist and composer Marcelo Abado. I also contributed to the realization of the visit (again in Hall 1 of the National Palace of Culture) of famous actors Michele Placido, Giuliano Gemma, and for the presentation by our orchestra of the best of Italian film music for the In Memoriam concert of Federico Fellini. In 1992, in the Bulgaria Hall we celebrated with successful concerts 200 years since the birth of Rossini with great interest on part of the audience. The Bulgarian Symphony Orchestra also recorded a CD with the favorite Italian singer Antoneldo Venditi and participated in the recording of a CD of Albano.